My wife and I have been using PRT for our landscaping needs and bi-monthly lawn service for over 3 years. Brian and his crew are professional, prompt, and go above and beyond to please their clients. Their prices are very reasonable and their service is outstanding! I have and would recommend PRT to my friends and family because they are trustworthy and always reliable! Keep up the great work team! 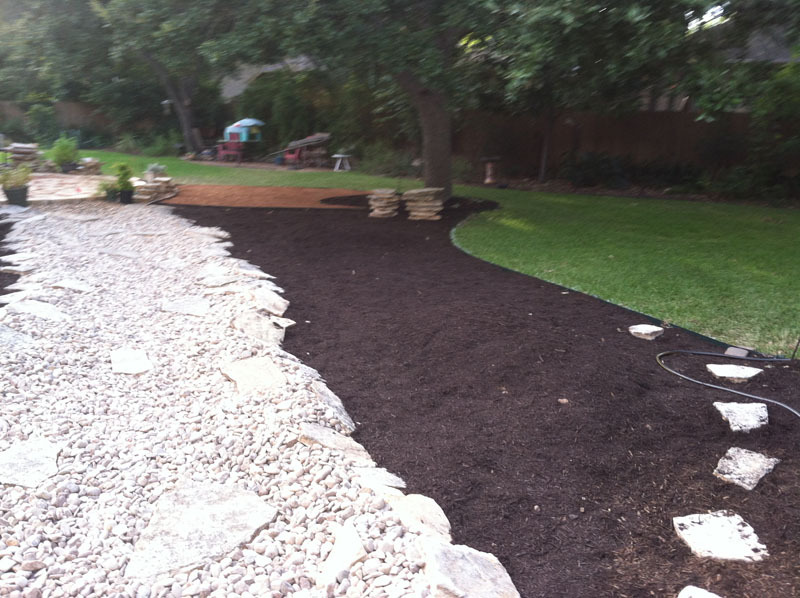 Brian and crew did an amazing job on our large landscape job. Way exceeded our expectations. 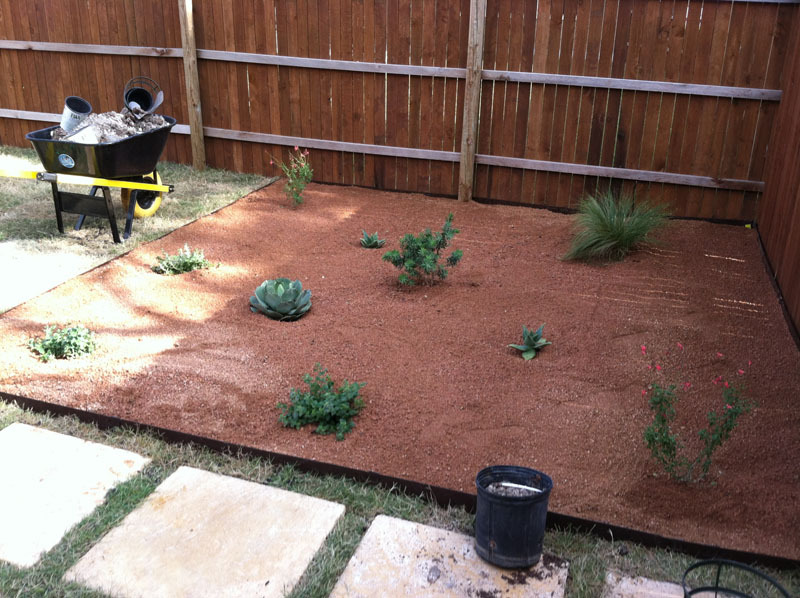 Timeline – they finished the job in 2 days and it was a big job (sprinklers, new sod, native and drought tolerant perennials, a couple red bud trees, fresh mulch in beds, edging installation, xeriscaping, rocks). They had 6-8 guys on the site and tackled everything I wanted them to and then some. Turnaround time was also really fast. After payment, it was only a few days before they were out to complete the job. In the middle of spring, this was rare to see from the other bids I received. Price – It was a fair quote for what was done. I got several quotes from other people, and Brian’s was below the average, but definitely on the upper echelon in terms of quality and seeing things through. Friendliness – Brian was easy to work with, listened to all of our concerns and wants, and followed through will exactly what we asked for. Other contractors I spoke with would want to install the plants THEY wanted or not give an opportunity to talk and just kind of put in the plan they thought was best. Not Brian, he offered his knowledge and advice, but not in a pushy way. Very friendly and easily reachable via phone/text. All in all, we are extremely pleased with the result and would highly recommend to anyone seeking a reliable landscape contractor. Bryan and crew are GREAT! They’ve done several jobs in our neighborhood which is how we found out about them. They’ve come out and done two jobs for us now, and we are so very happy with their services. They are fast, prompt, show up on time and do great quality work. We will definitely use them again for future services! Brian and his guys have been coming to us for a long time. They do excellent work and are great people to deal with. After my nightmare of an encounter with another “landscaper” I posted about to avoid a couple weeks ago (the no-show, etc. 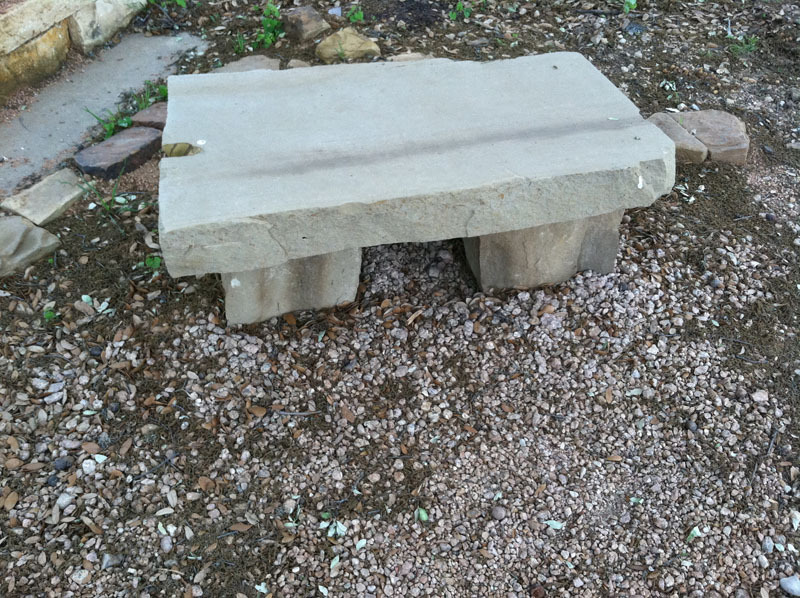 ), I was lucky enough to find Brian of PRT Landscaping. I had several other bids, and they were reputable companies and very nice. I ended up with PRT based on price, flexibility, availability for my calls, and reliability. 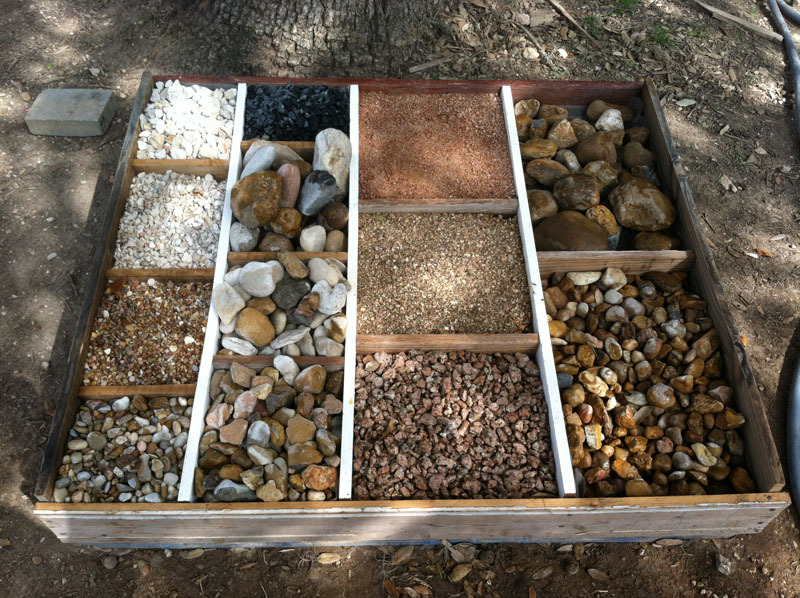 I am on my last day (they began yesterday) installing river rock along the sides of my fence to help w drainage/dogs. They arrived on time, with all of the materials, cleaned everything up (it looked like no one was even here yesterday except the work they did), and arrived promptly this morning (even in the rain) to finish installing the rock. They also were able to maneuver my sprinklers and install extenders so they popped over the rock. The company is insured (this is important), Brian (the owner) comes and works WITH everyone as well much of the time (important to me also), and there is a large crew of guys working at once who have been with him for a long time. This is NOT a fly-by-night company. My point is I highly recommend their work. They break every cost down for you so you can see material and labor (no other bid would do this for me). They show up when they say, they are legally here and paid well by the owner, and it has been a pleasure working with them. Women–I didn’t have any men helping me out. 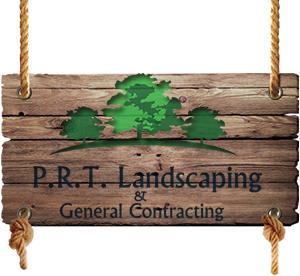 So, if you are a single mom or woman and are looking for a company to do landscaping/rock installation/patios/etc., I highly recommend PRT as well. I felt at no point did they take advantage of my lack of knowledge, and in fact often said I didn’t need certain things when other bidders pushed the extras. Honest. Reliable. Responsible. Insured. (and I’m not getting anything out of this. I just want to share finally a great experience w a contractor since I moved here). The crew came in and built a 40′ dry stack boulder wall. They were on time, on budget and I am a super happy about the finished product. I look forward to working with them again.